Most artists who book their own shows have a general idea of how to book a tour but either lack the confidence or the initiative and drive to do so. After all, it’s like booking a single gig multiplied over by how many shows you want to do right? There’s a few other logistical pieces involved so let’s go over the right way to do things. Why Do you Want to Tour? What’s the purpose of your tour? Is it to promote a new album? Get more exposure? Make money? Your ultimate goal should shape every aspect of your decision from where you want to play to when to go out on the road. Is It the Right Time to Tour? When it comes to touring, timing is important. You have to consider a number of things. Some of the more important things include: timing your tour with a benchmark event: new release, music video, major press/radio campaign, major music festival appearance or showcase, etc. If it’s winter, you won’t be able to drive in certain locations due to severe weather. In the summer, gas tends to be more expensive and college students are out. You also need to decide if you can afford to tour. Touring can be very expensive, especially if you are not at a point where you can get some major guarantees yet and even if you are doing everything on the cheap. Tires can blowout, transmissions can fall apart. You need to eat. Plan your budget but also include a emergency savings in case things go awry. There’s nothing worse than being stranded thousands of miles of home with your gear and out of money with no way to get back. Big Cities or Small Towns: It’s easy to just think in terms of large metropolitan areas but there are downsides to this as well. There’s more competition with other bands/shows going on at the same time in the city, they tend to pay less (or no guarantees if you don’t have a solid draw), venues tend to be more reluctant to book unfamiliar acts. However, larger cities have more opportunities for press: weeklies, dailies, radio stations, and TV shows. If you have a publicist or PR firm working these avenues, it can make your band look very good. Where Are Your Fans: Thanks to insight tools in every social media site, you can easily get a picture where your fans are at. Fan management programs like Fanbridge also let you see where your fans are interacting. Towards the “Big Event”: I get more requests for a “SXSW tour” than anything else. Touring there can be great: venues are more receptive towards touring acts at that time, many cities have their own music festivals before or after, there’s plenty going on outside of Austin. The downside is that no matter where you play, it will probably be on a bill full of touring acts rather than strong locals…so there’s less of a chance for you to get the exposure you need. How Large of a Venue? Here’s a rule of thumb: If you have never played a city before and have little to no serious press on you, don’t contact the largest venues in town. It’s a waste of their time. Instead, realistically determine your level and decide if you are more fit to play small rooms (100-200 capacity), medium sized venues (200-600), or larger. After you get the plan set, begin contacting venues that you think you would make a good fit. You can find live music venues using free tools like Indie On the Move, byofl,org, or even just typing in “live music venue” into Google and the city name. You can also buy a database of contacts or talk to a booking agency about doing the work. Another great tip is to look at where bands similar to your level and genre are playing in other cities. If those other bands are in cities that you want to play, contact them about “gig-swapping.” It’s always easier to get your foot in the door if there’s an established act on the bill. When you contact the venue, remember it’s a business proposition. Use some professionalism and explain how you can help them make money – how many people can you really draw? Are you having a press campaign to support your show? What are there benefits from booking your act? Talk to your traveling group ahead of time to decide how far you can drive in one day, how many “rest” or sightseeing days you need, etc. You also might want to talk about how often each person can drive. If you are doing large amounts of night shifts, please be safe and have someone stay up with the driver and pull over the moment you feel drowsy. Other things to consider: finding a sponsor for your tour (see the articles on “how to get a sponsor” on the left menu), visiting sponsors that you might have on board already, asking fans to help promote the show, etc. I book all my Indie Tours using an iPhone App called Independent Musicians Touring Guide. It is a niche app that has pre-set maps, lists of thousands of mid-sized club level venues throughout the US, and email templates for all types of booking requests. 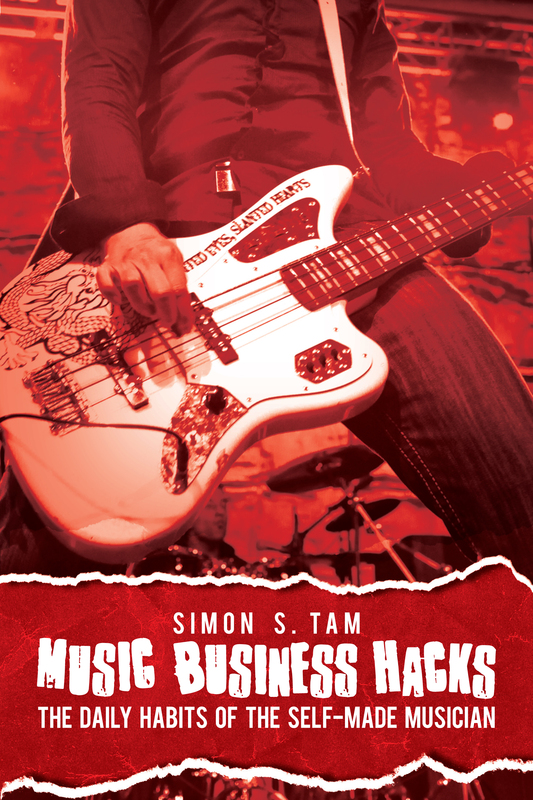 It is very helpful if you are just starting to book tours with your band independently.